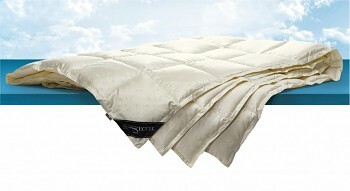 Luxury down quilt from the new collection. The fill consists of 90% silver down and 10% feathers from certified farms (EN12934). 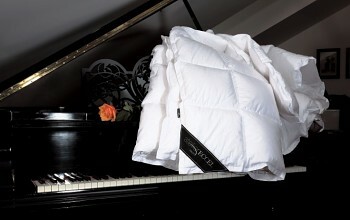 It is manufactured with a closed internal structure which consist of 3 layers of fabrics. The first two layers are colourless, with a special "down proof" protection preventing penetration of the feathers. The edges are securely stitched, corners are double-lined which ensures strength and durability of the product. Down add to DaunenStep quilts a very important property a that is the ability to drive moisture away from the linen even after making the bed. 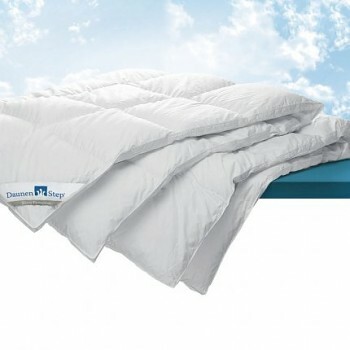 By purchasing of DaunenStep quilt you choose luxury and quality without compromise. We are able to manufacture your quilt in any dimension. 599.90 €	 10 - 20 days ? 733.20 €	 10 - 20 days ? 738.30 €	 10 - 20 days ? 830.60 €	 10 - 20 days ? 910.70 €	 10 - 20 days ? 934.40 €	 10 - 20 days ? Inform, if the product is in the store. Wie gefällt Ihnen unsere Website?